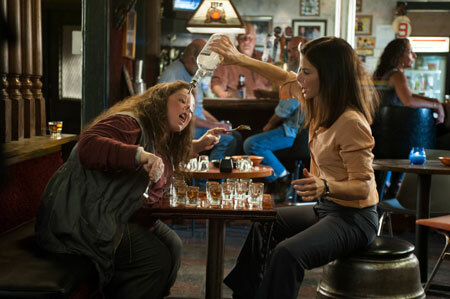 FBI agent Ashburn (Sandra Bullock) needs to grow down to a tough gal, who’s chasing the bad guys with her sister, Detective Mullins (Melissa McCarthy), in order to catch a drug baron in the streets of Boston. For some kind stereotypic buddy comedy that overshoots the mark, but points with diverting direction and an excellent soundtrack. 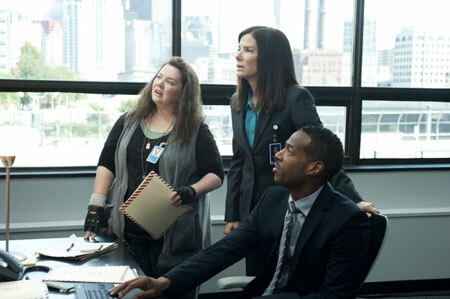 FBI Special Agent Ashburn (Sandra Bullock) is talented and is performing the best job a FBI agent could do – and she lets everyone know about it at every possible opportunity. All she needs now is the promotion for a team leading job she definitely deserves – in her opinion. But her boss decides, that she has to prove her abilities once more by finding a drug baron, who is currently veiling the streets of Boston with terror and murder. 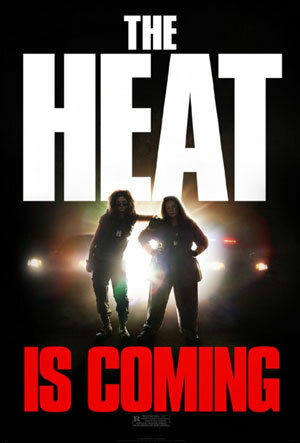 After watching „The Heat“ I wasn’t really satisfied, although this movie is quite entertaining. I asked myself: ‘What did I expect? Maybe too much?’ Melissa McCarthy starts right at the point, that stayed in mind from her last appearance in ‘Identity Thief’. She doesn’t really care about the law but does everything, that’s necessary, in a kindhearted way. 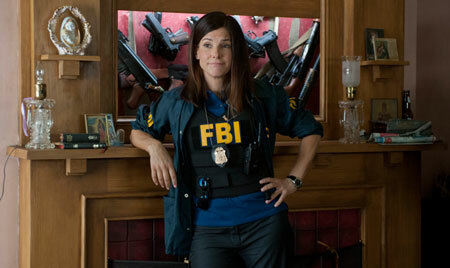 And Sandra Bullock is Miss Undercover again. Well, this time her changing is really more the other way around when she grows down from a stiff and arrogant FBI agent to a teenager-like gal that plays around the street with her sister chasing all the bad perps. That’s all ok, if you like Bullock and McCarthy in their previous roles. But what’s really annoying are some scenes that are stereotypical for a buddy comedy like this but which slip completely into goofiness. When Mullins destroys Ashburns business suit in order to avoid attracting to much attention on the dance floor of a local club and when they try distracting the bad guy’s attention to put a bug into his mobile, the complete scene is embarrassing. Especially if you realize later that the bug has never been used at all. And that’s not the only point in this story, that's not really logical. In addition there are some really uninspired ideas to bring the plot forward. How do the fighting ladies become friends? Of course when they got drunk together… Luckily the well-paced directing, the cutting of scenes and a great selection of songs for the soundtrack, turn some of these sequences to the better. That’s why all in all ‘The Heat’ is still above the line. If you like McCarthy and Bullock, it’s worth watching this movie for entertainment. But don’t expect too much: It’s definitely not ‘Lethal Weapon’ or ‘Miss Undercover’, although the two characters would have had the potential to fill these movie’s shoes.